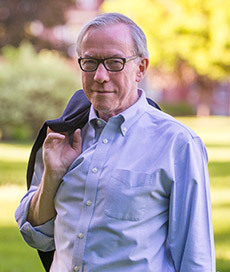 Geoffrey P. Kane, MD, MPH is Chief of Addiction Services at the Brattleboro Retreat, a 180-year-old psychiatric and addiction treatment hospital in southeastern Vermont. He is a graduate of Boston College and Yale School of Medicine and trained in internal medicine and social medicine at Montefiore Medical Center. His Master of Public Health degree is also from Yale. Dr. Kane is certified by the American Boards of Internal Medicine and Addiction Medicine and was named a Fellow of the American Society of Addiction Medicine the first year that honor was available. He has taught at Montefiore Medical Center, Albert Einstein College of Medicine, Tufts University School of Medicine, Antioch University New England, New Hampshire Technical Institute, and Albany Medical College. His book Inner-City Alcoholism (Human Sciences Press, 1981) was recommended by faculty at the Rutgers School of Alcohol Studies for its lucid discussion of alcoholism as a disease. Dr. Kane is Editor and a regular contributor to NCADD Addiction Medicine Updates on www.ncadd.org and is current Chair of the Medical-Scientific Committee of the National Council on Alcoholism and Drug Dependence.